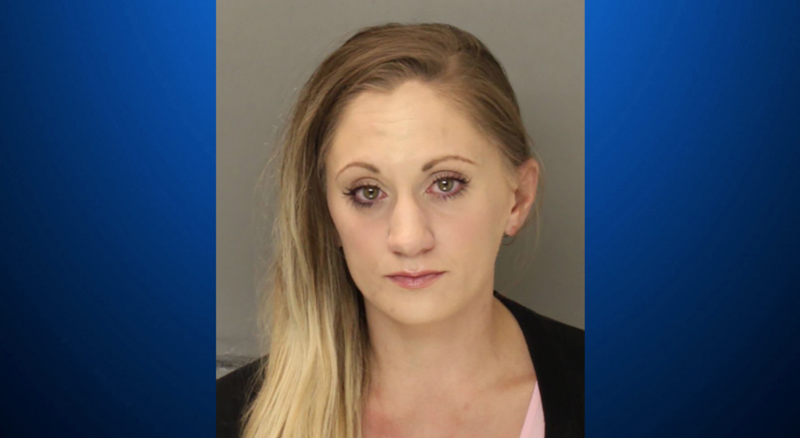 On Friday, 30-year-old Samantha Whitney Jones of New Britain Township, Pennsylvania was charged with criminal homicide over the death of her 11-week-old infant on April 2. The district attorney has alleged that the baby died after a lethal amount of drugs was transmitted to the baby through Jones’ breast milk, NBC reports. The DA’s office wrote in a press release “An autopsy found that the baby died from a combination of methadone, amphetamine and methamphetamine, allegedly transmitted through Jones’ breast milk.” Investigators allege that Jones was taking prescription methadone at the time of the baby’s death because she was addicted to pain killers. The criminal complaint alleges that the infant’s crying woke Jones up and that she allegedly tried breastfeeding the child since she was too exhausted to prepare a bottle of formula. Jones told detectives she isn’t sure if the baby actually breastfed since she feel back asleep on and off for the next three hours. But when she woke, she says, the child was “pale with bloody mucous coming out of his nose.” The baby died shortly after at a local hospital. Jones also allegedly told police that she had mainly been breastfeeding her baby, but had changed to formula three days prior to the baby’s death. According to the DA’s office, Jones’ attorney, Lou Busico, said at her arraignment that the child’s death was not intentional. Jones also has a 2-year-old son who is currently in the care of his father. In 2014, a South Carolina mother named Stephanie Greene, whose infant daughter died after taking a lethal dose of morphine through her breast milk, was convicted of homicide by child abuse, involuntary manslaughter and unlawful child neglect. She was sentenced to 20 years in prison. Jones’ bail has been set at $3 million and a preliminary hearing is scheduled for July 23.